“What happens when it rains?” Understanding how water moves is an important part of learning how to reduce flooding. 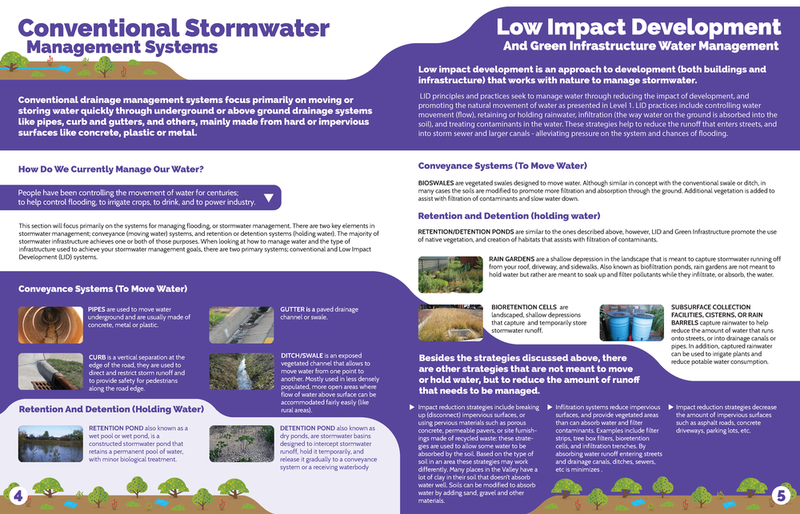 In Level 2 of the drainage module, readers learn about stormwater runoff and how water management systems and low impact development can be used to direct water. With this knowledge organizers will be able to better assess what kinds of drainage solutions would work best in their community.